For every American to have a warmer /cooler, dryer, healthier, more energy efficient home. 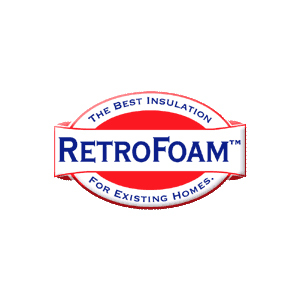 RetroFoam™ is a team of highly dedicated, trained installers who are passionate, reliable, committed professionals. We will work to make sure that everyone who is associated with RetroFoam™ will benefit through our association. We are in the business of transforming homes through the delivery of world leading products. And educating our customers on the benefits of our services. Our products and service will be of the highest quality and delivered in a professional and friendly manner. Our customers worldwide will be able to understand and enjoy the benefits of a warmer/cooler, dryer, healthier environment in their transformed homes. RetroFoam’s uniqueness is innovative technology that has been created over a period of 35 years of practical experience in the marketplace. The results deliver cost-efficient insulation solutions to homes worldwide. Copyright text 2016 by Alpers Insulation.